We love it when members decide to share their news here. And particularly thrilled to hear DSA news from Lawrence, Kansas, whose history traces the root of American dissent. — Ed. Howdy. Lawrence DSA here! We got a bus! We held a nation-wide fundraiser in the month of February and raised over $3,000 to cover the purchase and initial costs of operation of a second-hand school bus. We’ve trained up drivers and mechanics within our chapter, and we’re ready to roll. 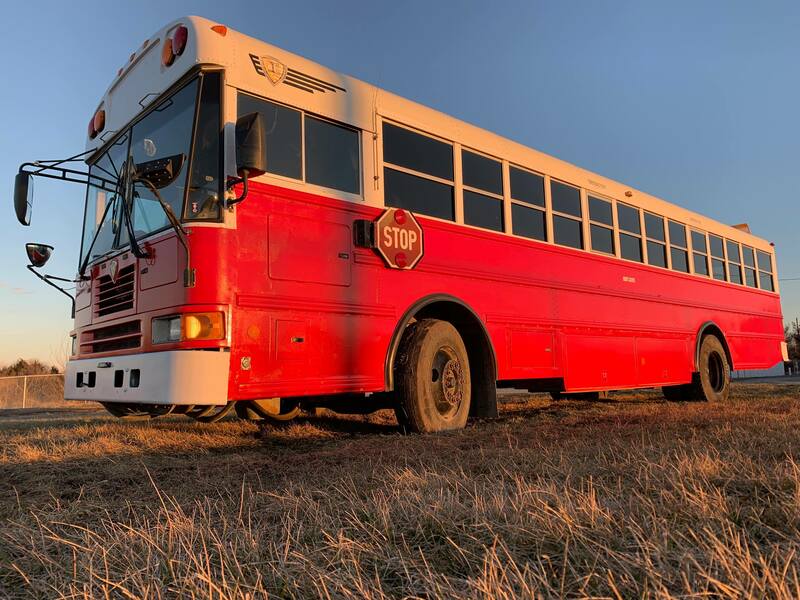 We plan to use the bus for chapter activities, community events, get-out-the-vote drives, mutual aid projects, and sending people to Topeka to yell at our elected officials. We’re also planning to coordinate with other midwest chapters to bring as many people to Atlanta this summer for the DSA National Convention. Hope to see you there! Sam Natale is treasurer of Lawrence DSA and a member of the housing working group.